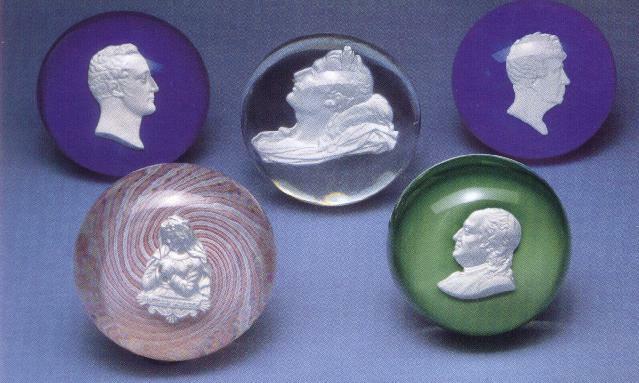 This is a catalog from the loan exhibition presented at the Corning Museum of Glass in Corning, New York by the New York - New Jersey Paperweight Collectors Association. The exhibition was on display from April 21 - October 23, 1988. 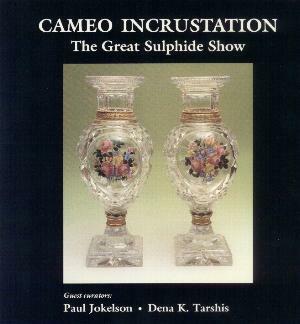 Cameo Incrustation refers to the art of encasing a cameo image in a glass object. This includes vases, jewelry, glassware of all sorts, and paperweights. A large number of spectacular examples were included in the exhibition. 40 pages with pictures of the 90 objects in the exhibit. 36 plates, 17 in color. Soft bound. 8" by 8". 1988.